Growth Mindset is a concept developed by Stanford University psychologist, Carol Dweck, from decades of research on achievement and success in children and adults. In a nutshell, growth mindset is the belief (based on years of research) that we are not born with a limited capacity to learn. But with hard work and perseverance, we can learn new concepts, skills, and strategies. Whereas a fixed mindset is based on the belief that we are born with a fixed intelligence, or capacity to learn. Here is a link to one of Dr. Dweck’s Ted Talks, titled the Power of Yet. I highly recommend listening to her. I am sure you will find her inspiring and give you oodles of ideas for releasing the ‘Power of Yet’ in your classroom! 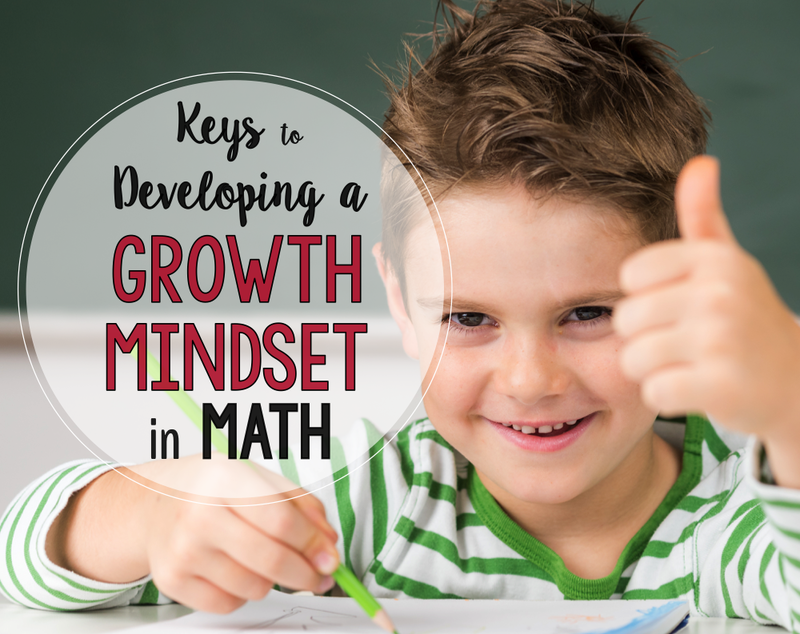 Why is a Growth Mindset Important in Teaching Math? If our mindset either encourages or discourages our effort to learn, then teaching the growth mindset has just become the most important thing we teach our students. It is vital for us to guide them into understanding how to develop a growth mindset in math (as well as all other academic areas). 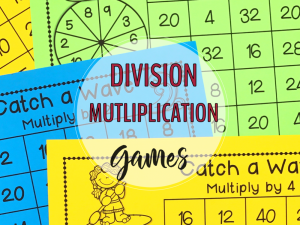 It is vital because it will determine the amount of effort students will put into engaging and learning all those great math lessons, centers, and activities you have planned for them. Students arrive in our classrooms with a wide variety of math experiences and beliefs about themselves as math thinkers. 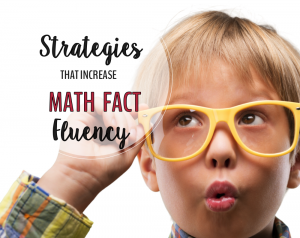 Their minds may be locked into false beliefs about their capacity to learn new math concepts and strategies. 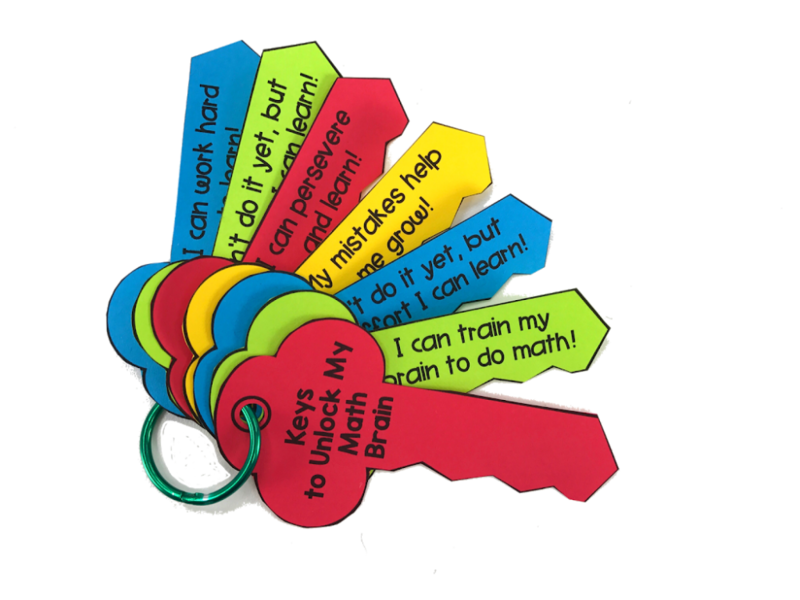 Helping our students develop a growth mindset is like helping them find the keys to unlock their brains. 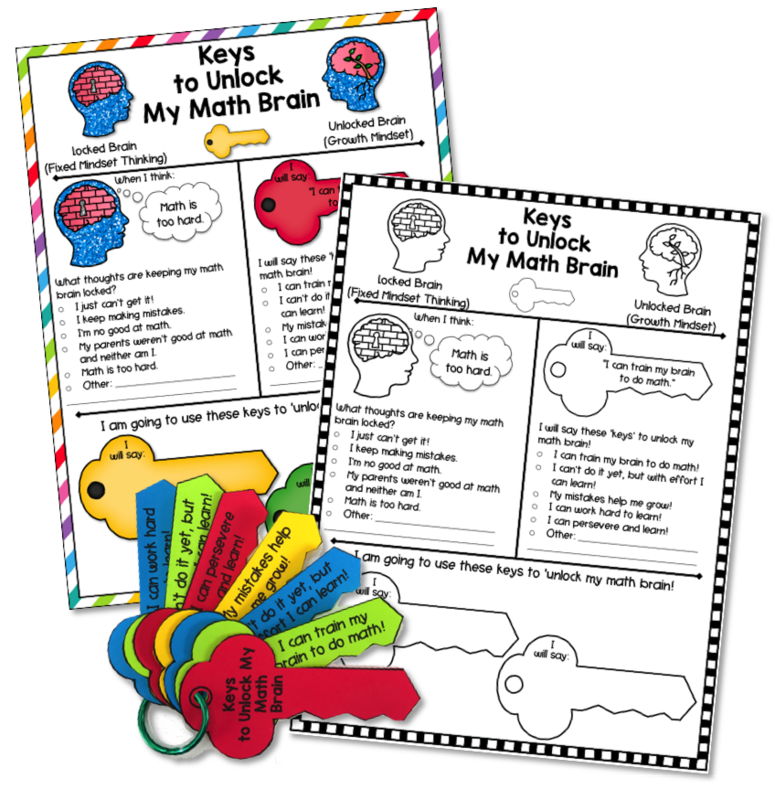 Here are some suggestions to help you give your students the keys to unlock their brains. Use this delightful 1.5 minute video to start your discussion with your students about mindsets. ‘You Can Learn Anything’ – the premise of the growth mindset. 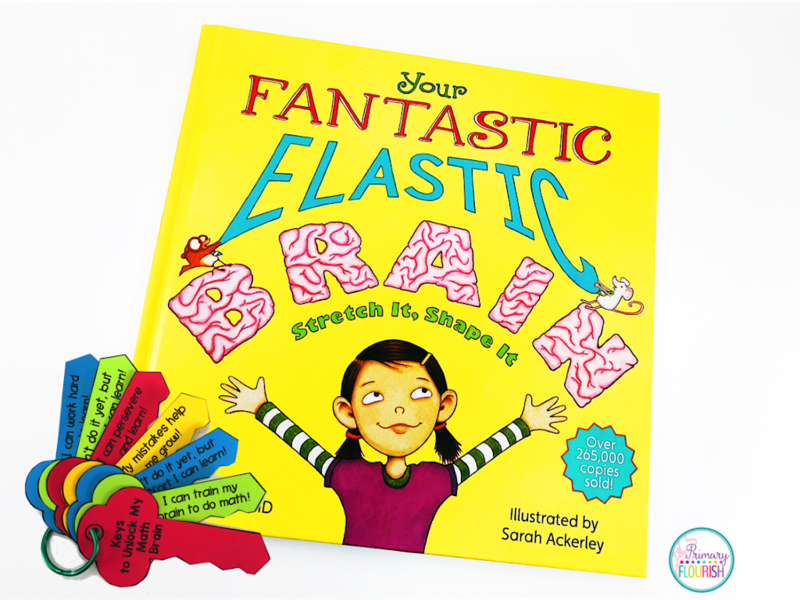 The book, My Fantastic Elastic Brain by Dr. Dweck is an engaging book about our brains and how we learn. It contains accurate information about the brain and how learning happens. What a great way to look at mistakes! Not something to be hidden, ‘red-x’ed’ or ashamed of, but something to be celebrated! Mistakes mean that we are learning! Our brains actually ‘light up’ with neuro-activity when we make a mistake! Discuss with your students how the key to unlocking our ‘math brain’ is to change their thinking about math and themselves as math thinkers. 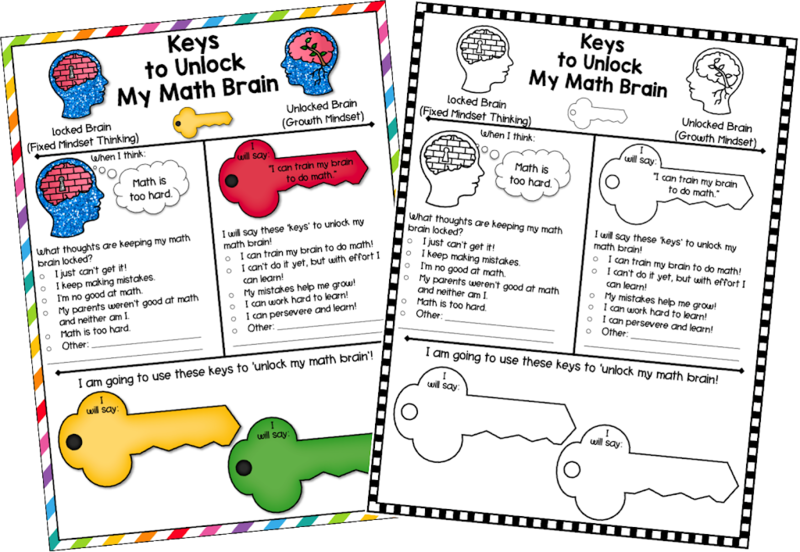 Use the corresponding handout for your students to reflect on what thoughts may be keeping their math brain locked up and what new thoughts they can replace those ‘fixed mindset’ thoughts with. These are their keys! This exercise is crucial for the development of a growth mindset because the students are actually already changing their brains by recognizing their negative beliefs. I am also including a little ‘Key Chain’ craftivity for them to use as a reminder of what is really true about themselves as learners. 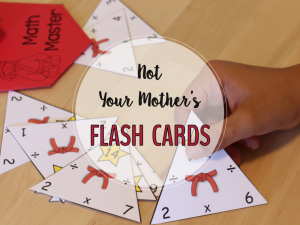 (I made my own set too!) This ‘Key Chain’ could be kept in their desk folders and referred to periodically throughout the year. After I started learning about the power of a Growth Mindset, I started looking for ways to apply the principles in different classroom activities. 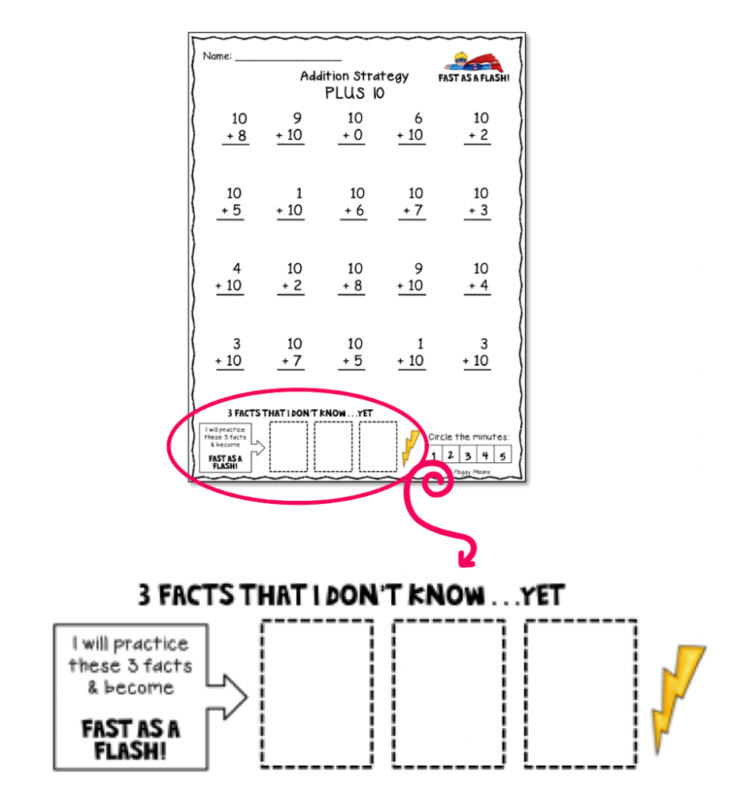 One change I made was in our math fact fluency assessments. I added a statement at the bottom of the assessment to help students celebrate their mistakes, tap into the ‘Power of Yet’, and be motivated to work hard . . . to persevere and learn the facts. 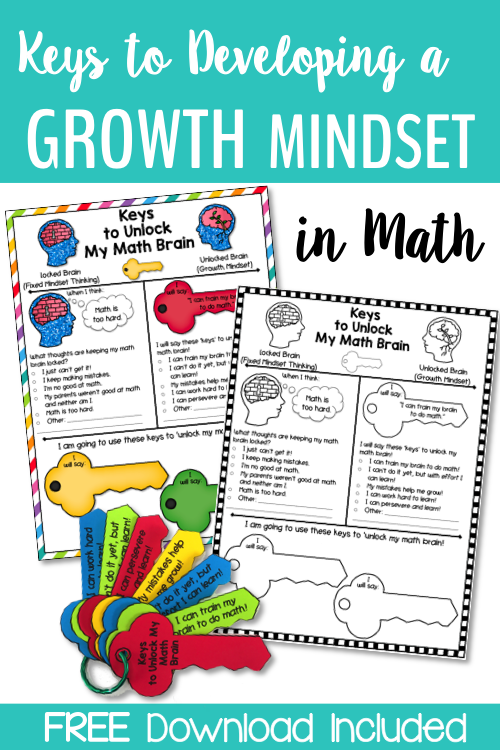 Use these resources to help your students develop a growth mindset in math! Yea! Now check your email to get your growth mindset resources! What are some areas in your teaching that you can adapt to encourage a Growth Mindset in math? I’d love to hear from you!